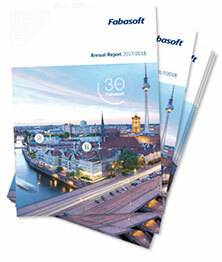 Fabasoft AG has pursued a strategy of sustainable and long-term value development for years. As a result of its chosen listing on the Frankfurt Stock Exchange Fabasoft AG already complied with many of the now stipulated requirements prior to the development of the Austrian Corporate Governance Code and before the domestic transparency guideline. Since 2002 many of the areas originally dealt with exclusively in the Corporate Governance Code have been adopted in legislation. The differences in the domestic implementation of the transparency guideline in Germany and Austria have meant considerable disclosure obligations for Fabasoft AG. In addition to the Austrian Stock Corporation Act and the Austrian Stock Exchange Act, Fabasoft AG is obliged to comply with the German Securities Trading Act and the stringent stock exchange regulations for the Prime Standard segment of the Frankfurt Stock Exchange. Applicable Union law came into immediate effect in the Member States on 3 July 2016 with the Market Abuse Regulation. The basic purpose of the Market Abuse Regulation is full harmonisation and it expands the scope of the market abuse rules. Fabasoft AG is of the opinion that due to recent developments it is to be assumed also in future that requirements of the Corporate Governance Code that are considered to be significant will be incorporated in legislation. For these reasons, the Supervisory Board and the Managing Board of Fabasoft AG have decided not to be accountable to any Corporate Governance Code. The current edition of the Austrian Corporate Governance Code can be downloaded from www.corporate-governance.at. Each consolidated interim financial statement is currently subject to a voluntary review by the auditor exceeding legal requirements. Group on all corporate levels for many years. There are women in managerial positions in various organisational levels, for example heads of division and authorised signatories. The proportion of women in technicallyoriented companies is still low and it is for this reason that Fabasoft makes every effort to help women return to work by creating a female and family-friendly working environment. The percentage of women at Fabasoft was 25.8 % as at 31 March 2018. There are flexible working-time models available for those who wish to make use of them, to accommodate the combination of family and work commitments. Approximately 10.6 % of all employees in the Fabasoft Group were employed on a part-time basis as at 31 March 2018. One of the four positions on the Supervisory Board of Fabasoft AG has been held by a woman since 2013, which corresponds to a 25 % quota for female representation among the shareholder representatives. This is an aboveaverage value for Austria. Particular attention is paid to diversity with regard to expertise and experience in the composition of the Supervisory Board. The aim is to ensure a Supervisory Board with a well-balanced specialist composition with a view to the business activities of the company. The current members of the Supervisory Board unite experience from both the university and commercial sectors with a national as well as international dimension. The shareholder representatives are between 54 and 71 years old. There are currently no women on the Managing Board of Fabasoft AG. 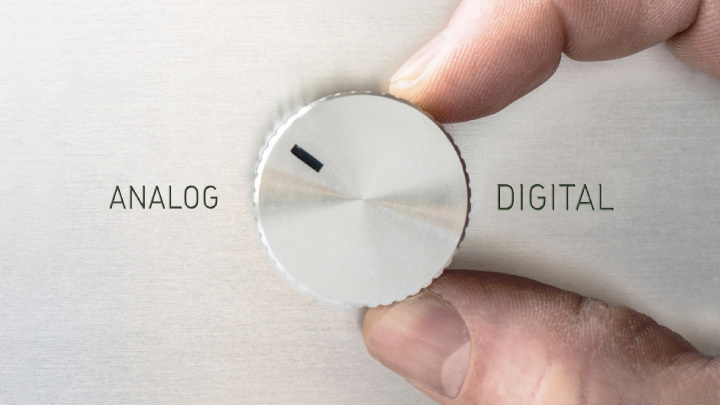 The Managing Board of Fabasoft AG is made up of the two founding shareholders Prof. Dipl.-Ing. Helmut Fallmann and Leopold Bauernfeind. The members of the Managing Board carry out their duties on equal terms and collectively. Furthermore, the members of the Managing Board also hold executive management positions in subsidiaries. The curriculum vitae of each member of the Supervisory Board of Fabasoft AG is available on the company’s website. The Managing Board informed the Supervisory Board about business and status of the company in four sessions concerning the 2017/2018 fiscal year. The audit committee convened two times. Additionally the Managing Board reported to the members of the Supervisory Board on a regular basis with regard to the company’s business developments and the position of the company, particularly in respect of the development of sales revenue and income. The number of Supervisory Board Meetings as well as Committee Meetings prescribed by law correspond to the size and business volume of the company in order to properly fulfil their statutory tasks. Information about emoluments for the members of the Supervisory Board is shown in the notes to the consolidated financial statements under section 10.5.5. The remuneration of the Managing Board comprises first of all continuous emoluments (fixed salary including benefits in kind). Additionally it has been agreed that each member of the Managing Board receives a performance-related, variable remuneration component which can have an upper limit of 50 % of the fixed payment figure. Furthermore, each member of the Managing Board is entitled to participate in employee bonus programmes and options models offered by the company. Remuneration is examined periodically by the Supervisory Board whereby importance is attached to the overall emoluments of the Managing Board being in line with the tasks and performance of the individual member of the Managing Board, the state of the company and regular remuneration practice and it representing long-term incentives for the sustainable development of the company. More information about the employee stock option models is shown on the company’s website in the reports of the Managing Board on the agenda of the respective annual general meeting.